Do you know who to turn to if you’re in need of roadside assistance? 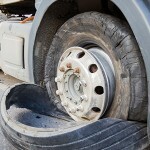 At Rod’s Mobile Tire & Repair we provide on-site 24 hour emergency road services for trucks in Des Moines, IA. We’re open 24 hours a day to ensure you receive the support you need to get back on the road. Whether your semi truck ran out of fuel or needs a trailer repair, we are able to provide timely and trusted assistance. Through our services, you’ll never feel stranded or unable to call for help. We specialize in a wide variety of services so that no matter your concern, you have a reliable, full-service mechanic to assist with roadside support. By coming to your location, we’re able to provide you with added convenience and peace of mind. In fact, we encourage clients to keep our number in their phones, so if they experience a dead battery or a lockout we can be there as fast as possible to assist. As a locally owned and operated company, your safety and the performance of your vehicle are always our top priority. When you call us, we quickly send out a skillful professional to assist with any problems. To learn more about Rod’s Mobile Tire & Repair and our truck road service in Des Moines, IA, contact us today by calling 515-720-9376.